Aruba’s climate of eternal summer means it’s always the perfect time to head out on those walking paths — you know, the ones that meander right beside the Caribbean with ocean as far as you can see. Bikers, hikers, even Segway riders — they all have their favorite tracks on the island. Linear Park is exclusively for joggers and bikers, the paths extending past perfectly named beaches like Surfside and Renaissance, all the way from the airport to the western border of Oranjestad. Other paths close to the big hotels take you from Fisherman’s Huts Beach — great for kite-surfing — to the California Lighthouse, where the views from the hilltop look out over the sandy beaches and rocky coral shoreline of Aruba’s northwestern tip. Be careful — it’s easy to get addicted to these sorts of scenes while you’re out for a morning stroll. Returning home to city sidewalks or dull country lanes might be a bit of a letdown. 2. …you find yourself dancing in the streets…on the beach…at the restaurant. Aruba’s Carnival season (usually Three Kings’ Day to Ash Wednesday) may be the traditional time of year when everyone is expected to be grinding their hips to a hot Afro-Caribbean beat, but you’ll likely come to the quick realization that this isn’t just “One Happy Island” — it’s also one musical island, at all times of year. Carnival is amazing, a huge, free display of original music and exuberant artistry, but all sorts of musical genres heat up the nights at Aruba’s concerts year round. Soul Beach Music Festival, held every May, is one of the best, featuring comedy shows and artists like Jazmine Sullivan. Also check out Electric Festival, Love Festival Aruba, and the Caribbean Sea Jazz Festival. 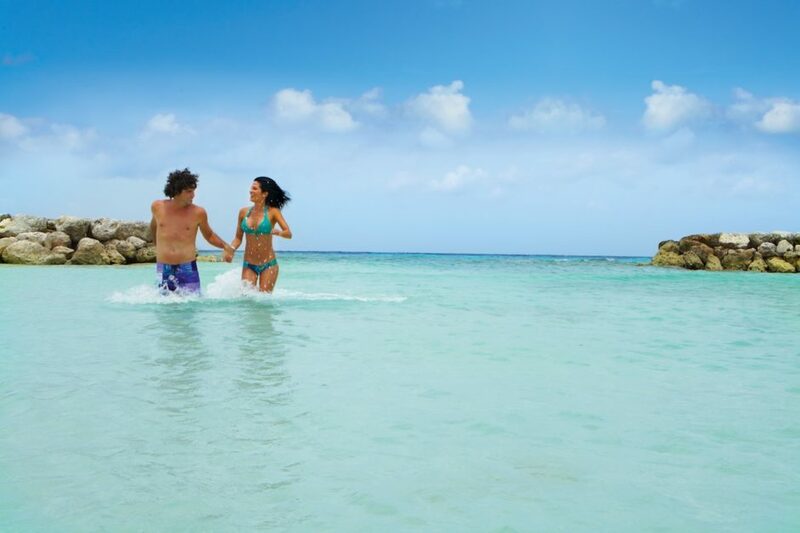 Salsa, merengue, bachata…Aruba is the place to be for all of it. And you don’t even have to wait for a special music event, as you’ll find great bands performing at venues like Renaissance Marketplace, Arawak Gardens, and Paseo Herencia Shopping Mall in Palm Beach every weekend. 3. …gourmet wines and cheeses are the perfect side dish to a spectacular sunset. European wines and Dutch cheese are actually a solid deal at our supermarkets — you can stock up on classy snacks at stores like Super Food and Ling & Sons. Whether you’re lining up with fellow travelers on the beach to savor the greatest free nightly show — Aruba’s sunsets (keep your eyes peeled for “the green flash”) — or enjoying a tête-à-tête on your room terrace, an outdoor picnic adds a little something special…and adds to the envy of all your Instagram followers. While you’re out stocking up for your DIY meal, make sure to grab some Madame Janette or Papaya Pica relishes to take home with you, or some of our freshly made rum or fruity liqueurs from The Arubian Taste. You can’t leave the island without them — a souvenir for everyone back home, perhaps? 4. …some friendly wildlife drops by to say ‘hi’ and share a meal. Aruba’s consistently great weather means outdoor dining, especially for breakfast and lunch, is the norm. Whether eating poolside, on the beach, or on a restaurant terrace, you’ll get used to being visited by iguanas and tropical birds eager for a handout. Of course, the fact that these are wild animals means you should resist the temptation, no matter how adorable they are. To experience wildlife on your own terms, check out the Bubali Bird Sanctuary, located between Palm and Eagle Beaches on Aruba’s northwest coast. The area is protected to encourage the habitation and breeding of 80+ species of migratory birds, including herons, egrets, and cormorants. And, just like those handouts you may unintentionally end up giving to the yellow bellies and brilliant green iguanas around the island, entry to the sanctuary is free of charge. 5. …you happily trade perfect hair for those cooling trade winds. Our trade winds are such an integral part of island life that many residents — returning from school elsewhere or a vacation away — describe them as the first thing “that makes us feel we are really back at home.” They’re a major factor in why islanders and visitors don’t feel oppressed by the hot Caribbean climate. In other words…you can say goodbye to keeping your hair in place. And that’s okay. 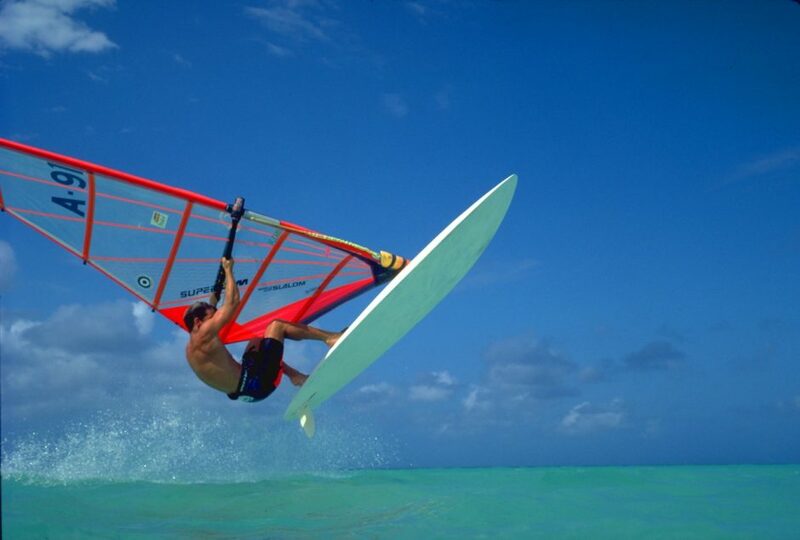 You’ll happily settle for a simple style when it means you get to enjoy perfect breezes on the beach, at the outdoor café, and out on the water windsurfing, kite-surfing, parasailing, and land sailing. 6. …people on the street smile and greet you with a sincere Bon Dia! The natural warmth of Arubans and their pride in the island is clear in the smiles you’ll receive while walking around. Passersby will look you in the eye, nod, and give a hearty greeting. Don’t hesitate to ask for directions or information about a landmark. Everyone’s happy to impart their knowledge, pro tour guide or not. And don’t be surprised if an Aruban walks or drives completely out of their way to lead you to your destination. Very likely they’ll point out some brilliant restaurants or friendly little local bars along the way, all while giving you a free tour and commentary about the historic or natural areas of the island. Just ask. They’ll answer, probably in length…interlaced with a great deal of gossip and folk tales. 7. …you find yourself doing things you never thought you’d do in an “island paradise,” like cave exploring or night diving. For most visitors, venturing into the wilds of Aruba’s rugged North Coast isn’t foremost on their mind when their plane lands…but skip it and you’ll be missing out. Arikok National Park covers nearly a fifth of the island and has incredible hiking trails, views that on clear days extend all the way to Venezuela, and some great caves like Guadirikiri and Fontein. 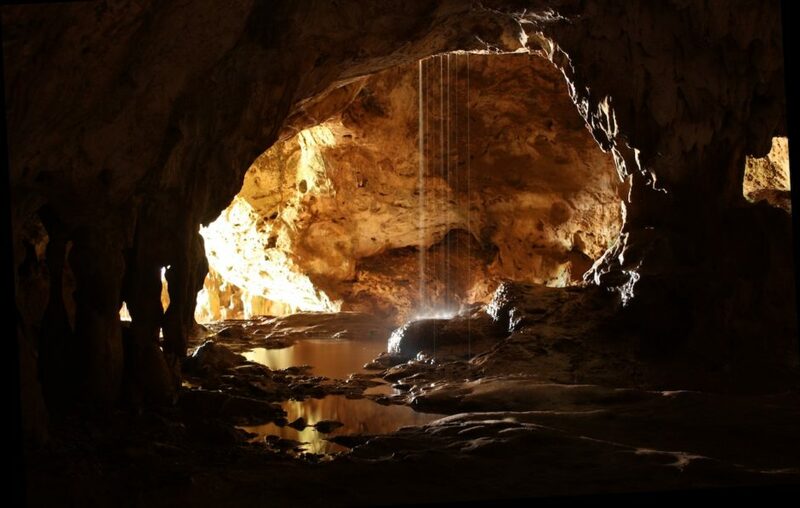 Naturally lit by openings in the crown, these stalagmite and stalactite-filled caverns are amazing. Park rangers are standing by to point out the centuries-old markings, as well as the vision paintings of Caiquetio shamans that have survived for millennia. In fact, there are nearly 350 such paintings scattered around Aruba’s various rock formations like Ayo and Casibari. Fact: Aruba is also the wreck diving capital of the Caribbean, and home to the largest intact historical shipwreck in this part of the world. The SS Antilla was a German cargo ship scuttled by its crew in 1940 so the Allies couldn’t add another vessel to their fleets. It’s a spectacular dive site at any time of day — one of the best preserved wrecks in the region — but it’s particularly special once the sun sets. If you’re thinking about trying night diving for the first time, the Antilla is the ideal place for that inaugural after-dark plunge. Experienced night divers know one of the greatest challenges is the difficulty in orienting to the dive boat in pitch-black waters over a reef, but being a large, solid structure that’s laid out relatively intuitively, the Antilla solves that dilemma. It’s also a haven for sea life, and the bright lights divers use at night bring out all the remarkable colors of the tropical fish and coral.